It sure looks to us like this bunny has found a great place to hide brightly colored eggs. German Lutherans created the character of the ‘Easter hare’ that is the basis for the modern-day Easter Bunny. Their version of the bunny judged whether children had been good or bad during the Eastertide season—with well-behaved kids getting a treat. But rabbits and hares have long been associated with springtime, rebirth, and fertility, so perhaps the leap from gentle backyard visitor to keeper of spring’s ‘naughty or nice’ list was inevitable for these fuzzy critters. Rabbits are small mammals in the family Leporidae of the order Lagomorpha. Oryctolagus cuniculus includes the European rabbit species and its descendants, the world's 305 breeds of domestic rabbit. 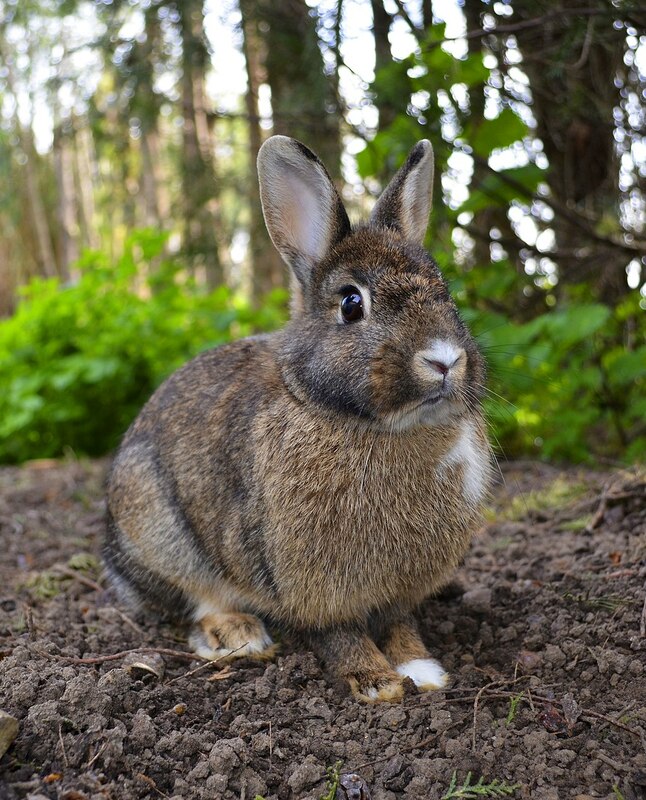 Sylvilagus includes 13 wild rabbit species, among them the 7 types of cottontail. The European rabbit, which has been introduced on every continent except Antarctica, is familiar throughout the world as a wild prey animal and as a domesticated form of livestock and pet. With its widespread effect on ecologies and cultures, the rabbit is, in many areas of the world, a part of daily life—as food, clothing, a companion, and as a source of artistic inspiration. Selecting another date does not function without scripting enabled!